I work at the Hospital with rotation shifts, I often have to work night shifts and sleep during the day. My bedroom is on top of a garage with a bow window facing East, I love the view/light it has to offer (when I am not trying to sleep). But on those days that I need to sleep during the day, the sun is just unbearable. I had blind and draperies, but my room still heat up like an oven and the sun shining in is just too much. 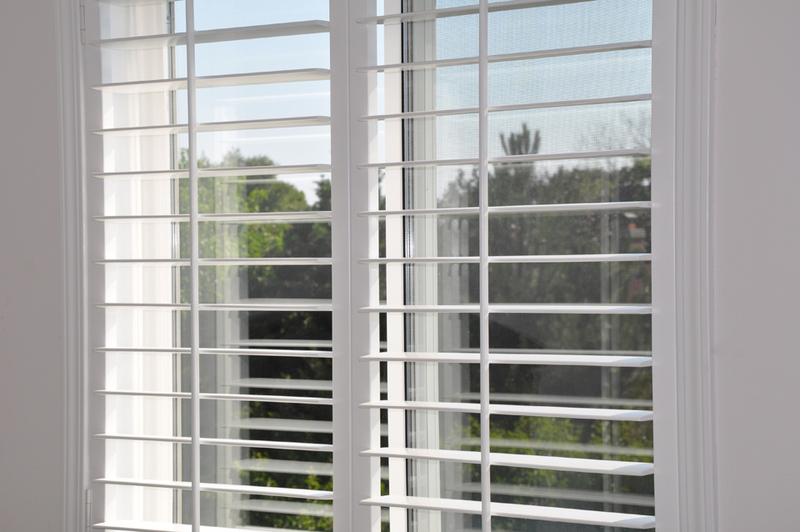 A friend of mine told me to look into Shutters and recommended Premium Custom Shutters. I gave them a call and they came to my house the next day to measure my window. They came back 2 days later to install it for me (they even help me get rid of my old blinds - if you live in a Toronto residential neighborhood, you know how painful it is to dispose over-sized trash - so I am very grateful for that). I have these shutters for more than a week now and it is wonderful! I can feel significant differences in temperature in my room during the day - especially in the past few days with the heatwave in Toronto. More importantly, it help block the sunlight so I can sleep during the day, that is PRICELESS for me! I highly recommend these guys at Premium Custom Shutters for their service and shutters.